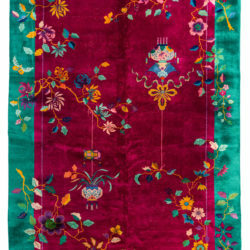 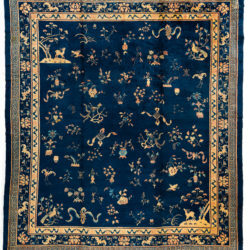 Chinese Rugs / Antique Chinese 9'10"×11'8"
This room size antique was woven in China toward the end of the 19th century. 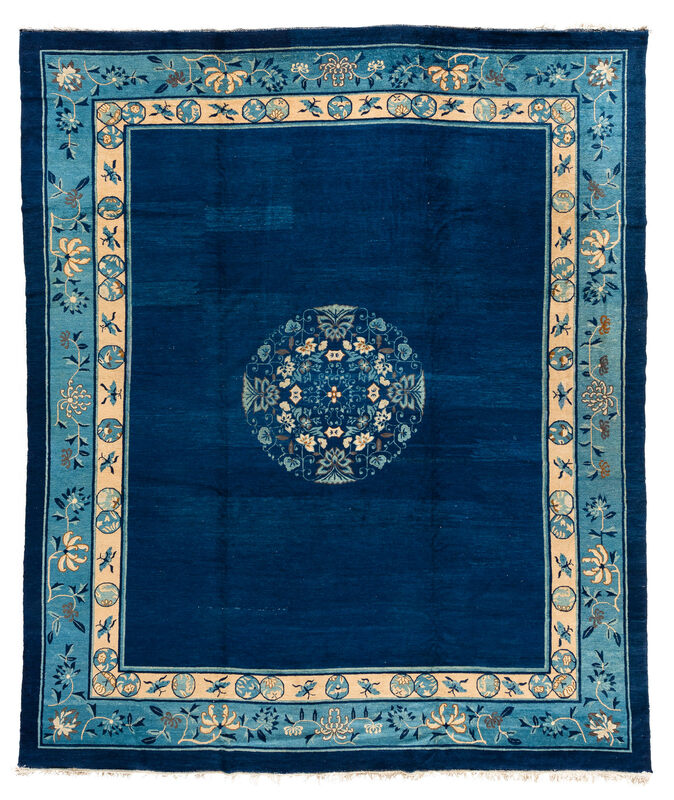 The traditionally Chinese design features central circular medallion with a delicate floral motif surrounded by an otherwise empty navy field. 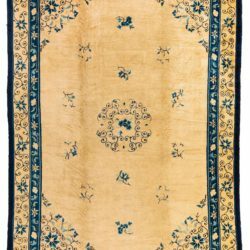 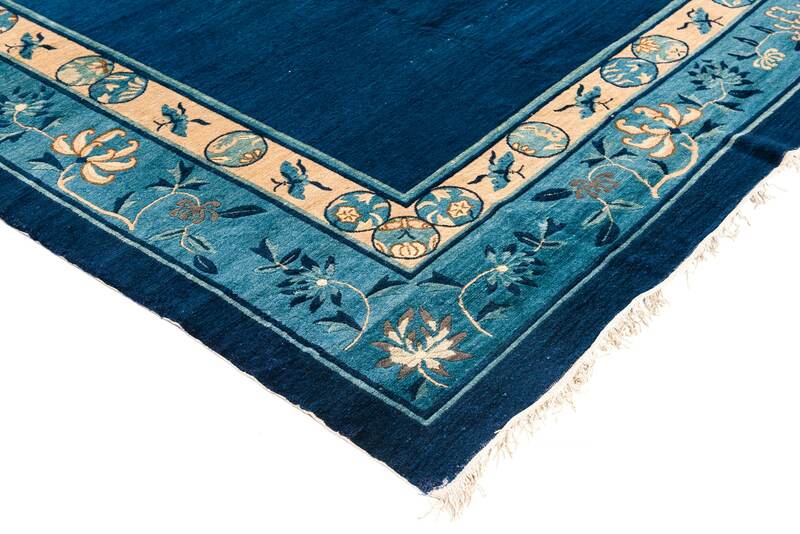 The inner ivory border has stylized images of blue butterflies and the navy outer border has a winding floral design.